بني في 1996, Port Douglas Retreat هو ميزة مُضافة لـ بورت دوجلاس و خيار ذكي للمسافرين. يقع مركز المدينة على بعد 0.1 km فقط. ويمكن الوصول إلى المطار خلال 75 دقيقة. كما يمكن الوصول بسهولة إلى Funstuff by Lynda, Whileaway, اكوموديشن بور دوجلاس. 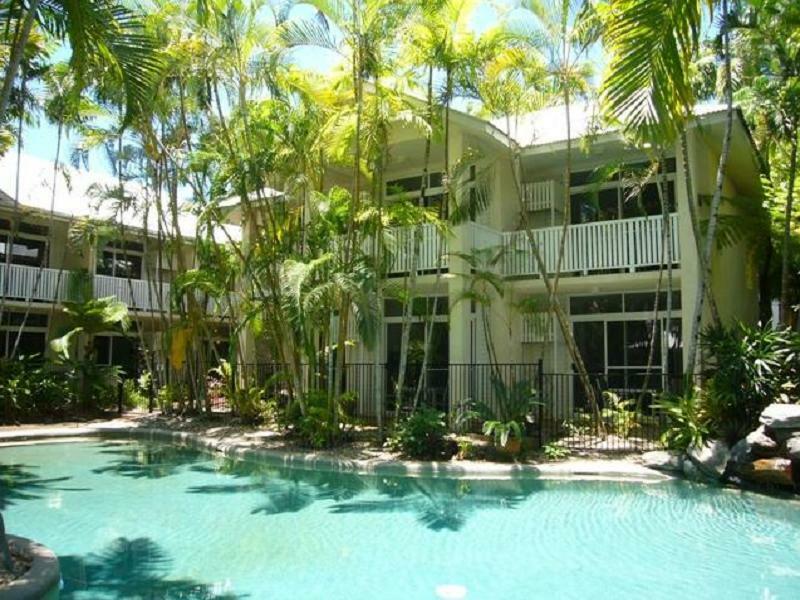 يعمل Port Douglas Retreat على ضمان إقامة مريحة لضيوفه من خلال خدماته الممتازة وحسن ضيافته. يمكن للنزلاء الاستمتاع بالميزات التالية: واي فاي مجاني في جميع الغرف, تخزين الأمتعة, واي فاي في المناطق العامة, خدمة صف السيارات, صف السيارات أثناء إقامتهم في هذا المكان الرائع. يمكن للنزلاء الاختيار من ضمن مجموعة من الغرف المصممة بعناية لتعكس جواً من الراحة، والتي يتجاوز عددها 36. يقدم الفندق خدمات رائعة كمثل مسار جولف - ضمن 3 كم, حمام سباحة خارجي, حديقة, رياضات مائية (غير آلية) لمساعدتك على الاسترخاء بعد نهار طويل من النشاط والتجوال في المدينة. مهما كانت دواعي سفرك فإن Port Douglas Retreat هو خيار ممتاز لإقامتك في بورت دوجلاس. Pleasant stay nice area good pool BBQ and apartment. Penny pinching or lazy, you decide. Paid $1000 for 7 nights over New Year. Only 1 hand towel, no change of bed linen or towels [only after 8 nights or more] Pool gate locked until 8.00am some mornings when it clearly states in room information open at 7.30am. The Jack and Jill caretakers need to realise they are there for the paying guests, not to make life easy for themselves. Alan & Susan. Thank you for your comments. This is his third stay with us. This guest would have known 100% from his previous visits all about the property. Pool Signs Signs on the pool gate clearly show it opens at 8am and normally I open the gates a little earlier but being new year's day I opened on time - maybe lazy but it was the 1-Jan-19 :) Communication Not once during his stay did he ever ask for new/more towels, in fact, we offered him a pool towel instead of using his bath towels, but this was ignored. We can do so much when guests talk to us but he chose not to. We tried to directly approach him to talk but he would go out of his way to avoid us. Not sure his intentions for this. We tried to wish him a 'good morning' every time we saw him but there was no response. We work hard to help guests enjoy their holidays, but sometimes there are some we can never do the right thing. This property is perfect for those that want to chill in a peaceful small property that is very close to everything including the beach, pubs, restaurants and the shops (though we do not shop on holidays!). 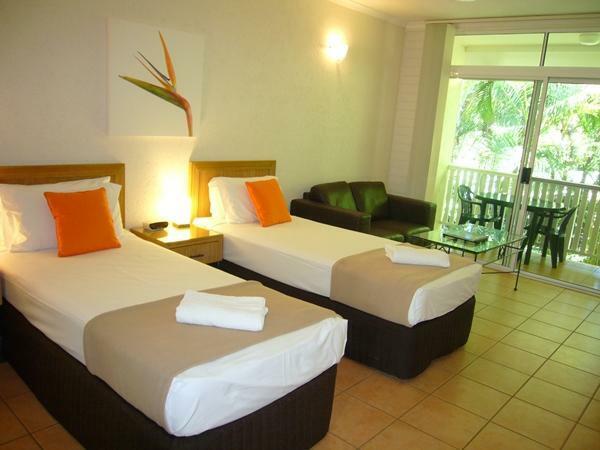 The rooms are clean and big enough for a couple to travel, smallish balcony’s. The location to pretty much everything in PD is perfect and this is why we chose this accomodation. A short stroll to all the town has to offer, no need to drive anywhere. BBQ facilities and pool are good, wouldn’t recommend for large family or group travelling together Would stay here again.. Loved loved loved staying here great staff and 5 min walk to town, marina and close to the main beach very clean room and well kept and maintained we will be back!! thoroughly enjoyed our stay, a short walk to shops and beach. Helpful staff. Would return. Our second stay at PD Retreat was just as good as the first. The location is excellent and the accommodation, whilst a little on the small side, is more than adequate with all amenities you could need. David and Joyce are cordial hosts and knowledgeable if you need any information on the loacl area and various attractions. We will definately stay again. We had a lovely stay, they were welcoming and friendly. Lovely unit, and a lovely pool, which we enjoyed swimming in. Hired towels, $3.00 each. 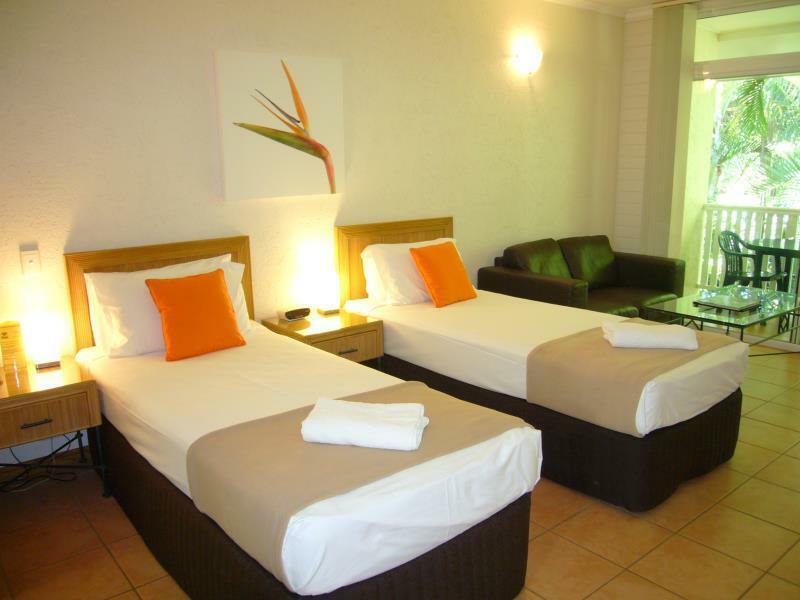 Great location as it was a 5 minute walk to the beach, or a 5 minute walk to the shops. Having arrived after midnight when reception was closed, our room key and welcome letter had been kindly left for us by staff. Our room was large, clean with a good fan and A/C. The pool area was like a little tropical oasis (although the edge of the pool is very rough and took the skin off my knee) - we were disappointed that we couldn’t spend much time out there due to the weather. It’s a very short walk into town and to the wharf (ideal if your going to the Great Barrier Reef). We would definitely stay here again. The rooms were basic, but included the advantage of a microwave, toaster, hot plates and other cooking/eating utensils which meant you could self-cater. There were also outdoor BBQs available. Walking distance to the main street, including a large supermarket, as well close proximity to the marina and beach made this a convenient location for all our requirements. Great car parking and pool access. Best proximity to town, marina and beach. Quiet and friendly. Room 305 was good, others on ground and first floor were a bit overlooked. Breakfast is great. The location is excellent. Close to the main shopping & entertainment hub. Lovely garden enviroinment & pool area. The only negative l have with my room was the air con was old & loud. This may put me off from revisiting. Great value for money. Awesome room with kitchenette and living room area with balcony. Pool space was large. Great location, 5 minute walk to Main Street and very close to beach. The staff here was amazing and helped us book a reef trip! Would stay again!! 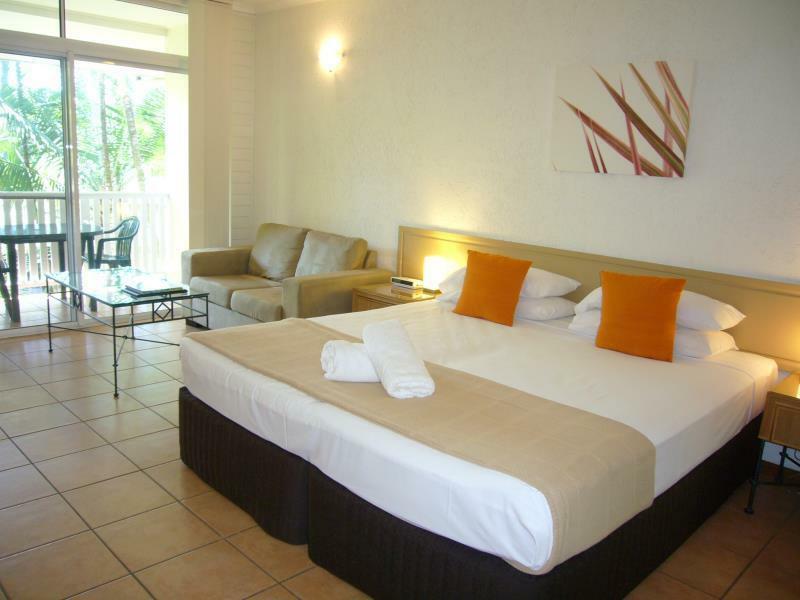 We were very happy with our stay at Port Douglas Retreat. The rooms were clean and comfortable with a nice porch seating area. We were on the ground floor which made accessing the room with a pram very easy. We were able to rent a cot during our stay. The bathroom was roomy with a big shower area, no bath but our baby prefers showers anyway. Excellent location, close to the beach, main town and river. Staff were helpful and friendly. The pool and BBQ area were great and provided an opportunity to socialise with other guests and cook and eat cheaply. 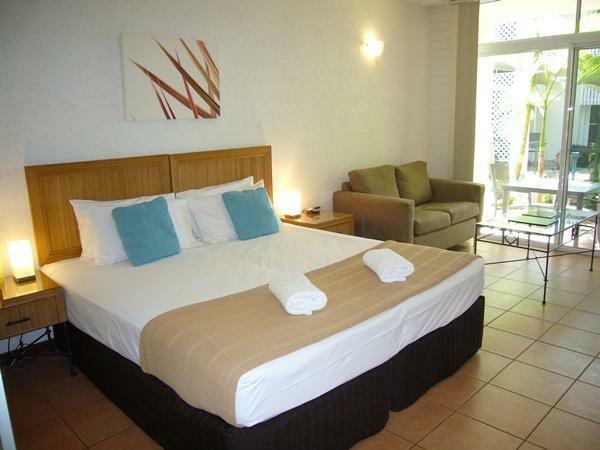 I would definitely return to Port Douglas Retreat when in Port Douglas next.